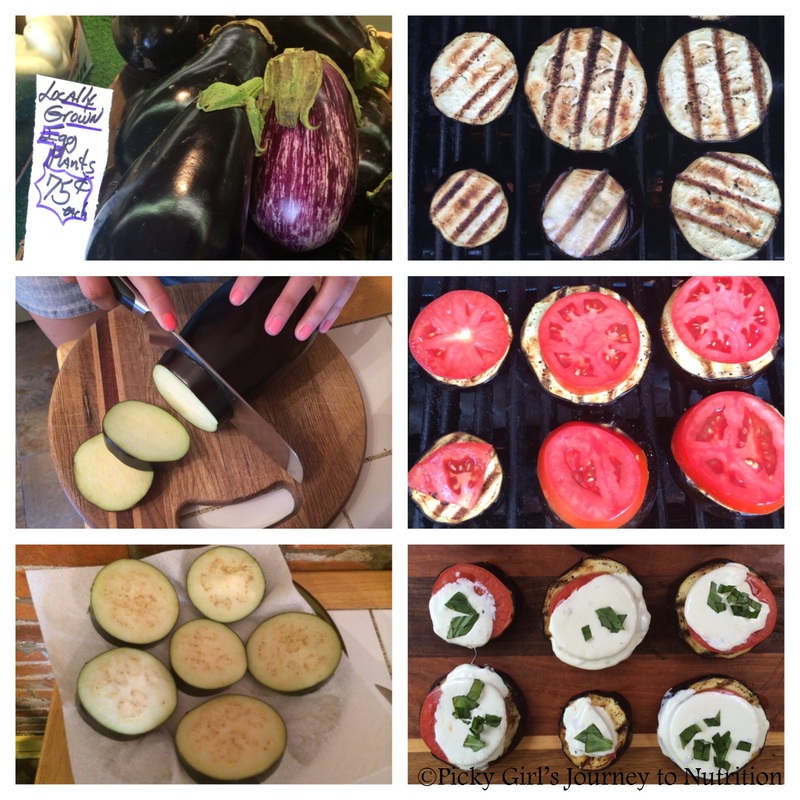 This cold chilly week has me thinking of warm summer grilling days! My family and I originally tried this recipe over the summer on the grill. This would be a great winter dinner too; one brave soul just has to venture out to the grill (in my family this is typically my dad!) So, fire up that grill and get ready for this yummy low-calorie pizza! 2. 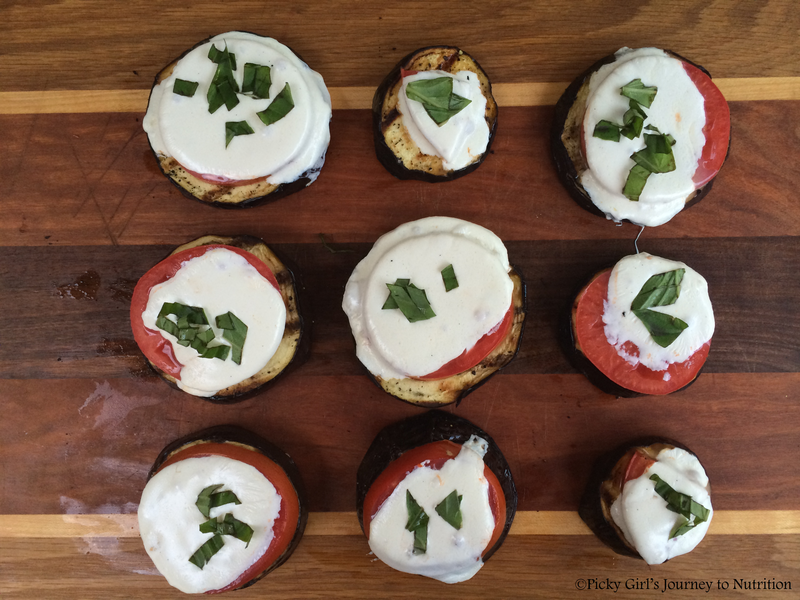 While eggplant is sitting, slice tomato and mozzarella into slices. 3. Grill eggplant pieces on grill for about 3 minutes on each side or until you see those beautiful grill marks. 4. Add tomato and mozzarella slices, grill until cheese melts. 5. Sprinkle with basil and enjoy! Stay tuned for more February pizza month recipes!